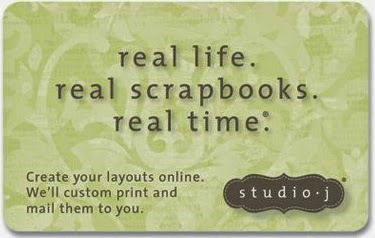 Paper Crafter Anonymous: Studio J - What is your Style? Studio J - What is your Style? 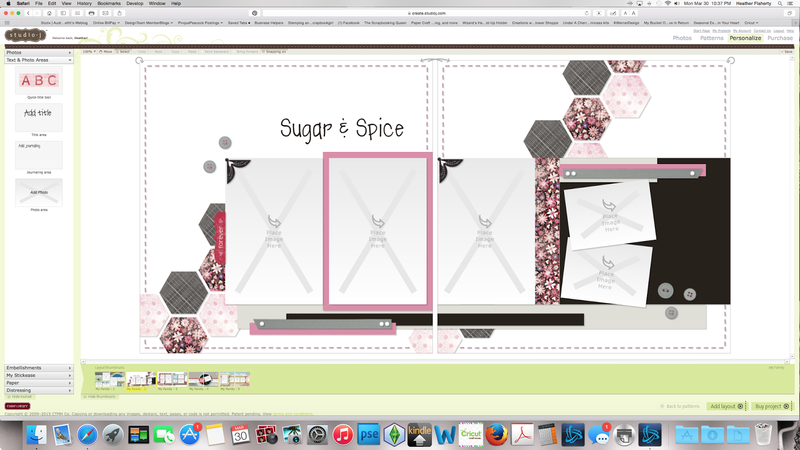 I am sharing with you today some layouts I created and saved in Studio J because I have not added photos to them as of yet they are incomplete. 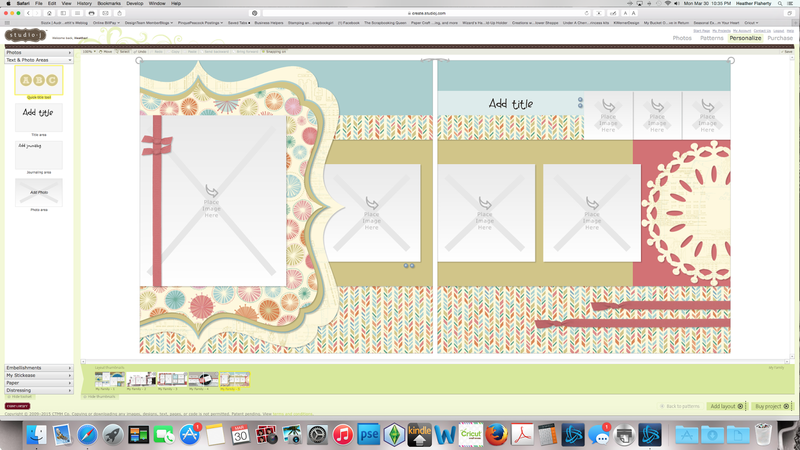 On this layout I added the color for the buttons, ribbon, and stitches. On this layout I added the color for the ribbon, changed some of the paper colors/designs around and added the die cut element on the second page. 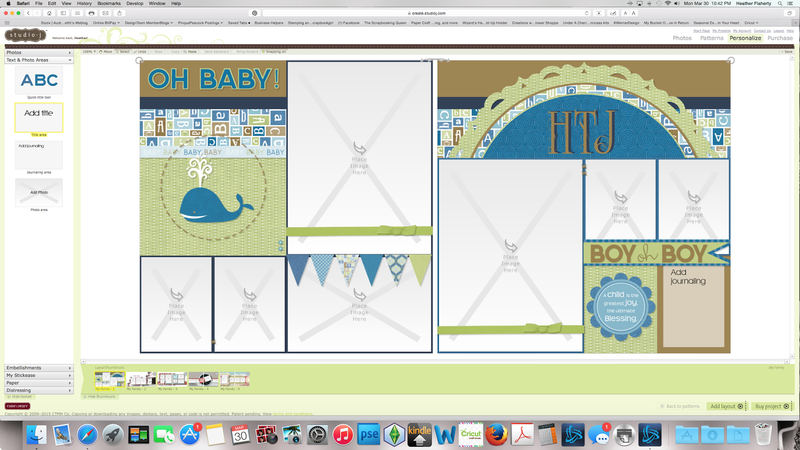 On this layout I added the color for the brads, ribbon, and stitches, I added the whale sticker, stitched circle, medium accent circle sticker and the boy oh boy tag and the banner on the first page. 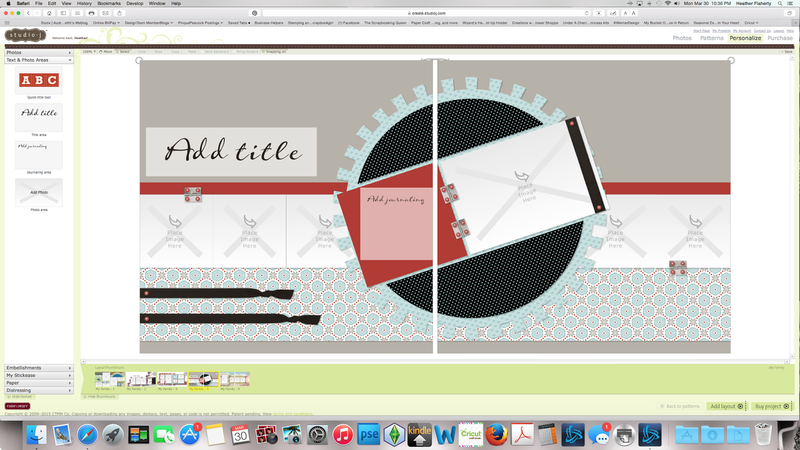 On this layout I added the color for the brads, ribbon, buttons and stitches I also added photo corner elements and a tag. Why am I showing you this? Well to show you the versatility of Studio J. 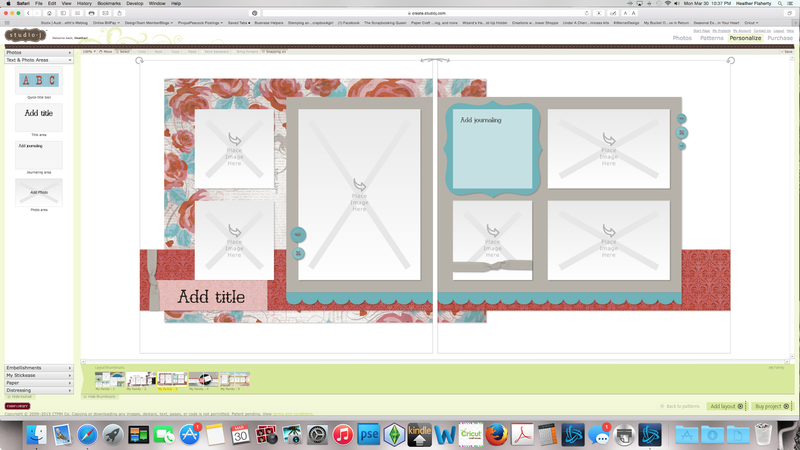 You can use the layout as given, choose different papers or get as creative and add as many or as little additional elements that you want onto a layout.